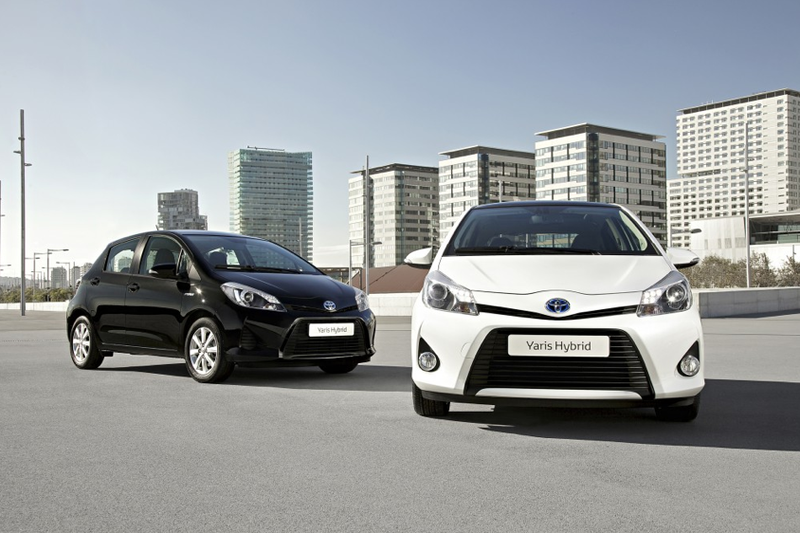 The launch of Yaris Hybrid marks another breakthrough for Toyota in the UK. It brings low emissions, refined performance and the proven reliability of Toyota hybrid technology to supermini buyers for the first time. Available to order now, the all-new Yaris Hybrid will be on the road in the UK from early July, priced from £14,995, making it Britain’s lowest-priced hybrid car. What’s more, Toyota’s newest, smallest hybrid hatchback will offer zero road tax (VED), 80.7mpg and exemption from the London congestion charge. It may be compact, but it is big on clever technology: every element of the hybrid system has been made smaller and lighter so that it can be fitted to Yaris without reducing the space available in both the cabin and the boot. The new development of Toyota’s smooth, quiet and highly efficient Hybrid Synergy Drive, uses a 1.5-litre VVT-i petrol engine in combination with a compact electric motor, hybrid battery pack and e-CVT automatic transmission. CO2 emissions are 79g/km for the T3 and T4 models and 85g/km for the T Spirit. The official combined cycle fuel consumption figures are 80.7mpg and 76mpg, respectively. 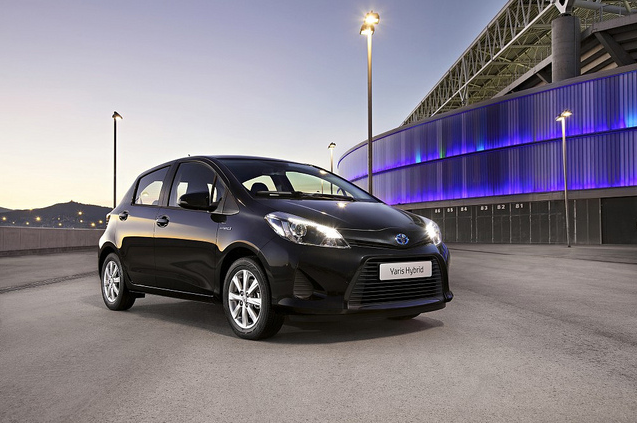 The Yaris Hybrid is available in three model grades: T3, T4 and the top-of-the-range T Spirit. All versions have five doors. Yaris Hybrid T3 includes dual-zone air conditioning, front electric windows, six-speaker audio system, ABS with EBD and brake assist, VSC (switchable) and TRC, and is fitted with seven airbags. Yaris Hybrid T4 adds the following: 15-inch alloy wheels, rear privacy glass, front fog lamps, rear LED lamps, Toyota Touch audio control, Bluetooth, USB/Aux-in, rear-view camera, leather steering wheel and gear knob trim, colour-matched door mirrors and door handles. The range-topping Yaris Hybrid T Spirit takes the T4 features and adds 16-inch alloy wheels, cruise control, smart start system, electric rear windows, rain-sensing wipers, auto-dimming rear-view mirror, dusk-sensing headlights, ventilated glove box, leather parking brake trim, part leather upholstery, passenger seat height adjustment, front footwell illumination and a rear spoiler. Four option packs are available for T4 and T Spirit versions of Yaris Hybrid, neatly bundling complementary style and protection elements. The Protection Pack (£250) provides mudflaps, Hybrid-branded floor mats, black side mouldings and a boot liner. The Protection+ Pack (£525) provides the same items, plus rear parking sensors and a black rear bumper protector. The Style Pack (£300) adds Hybrid-branded aluminium scuff plates and chrome-finished side sills and tailpipe trim. The Toyota Touch system can be upgraded to Toyota Touch and Go, adding satellite navigation and advanced Bluetooth features, plus the ability to access Google Local Search and connected services, such as live parking and fuel price information and local weather forecasts (enabling these services requires registration via Toyota’s customer web portal, plus compatible mobile phones with appropriate data plans and tethering). The Touch and Go upgrade is available for £650. Yaris Hybrid is available in eight colours: Cirrus White, Eclipse Black (mica), Glacier Pearl (pearlescent), Tyrol Silver (metallic), Burning Red (metallic), Decuma Grey (metallic), Sintra Blue (metallic) and Deep Aqua (metallic). As we announced here, on-the-road prices for the range start at £14,995 for the T3 grade, rising to £15,895 for the T4 and £16,995 for the T Spirit. All models are in Band A for road tax (VED), which means a zero annual charge; likewise their sub-100g/km emissions gain exemption from the London congestion charge. For company car drivers the benefit-in-kind (BIK) tax rate is just 10%. 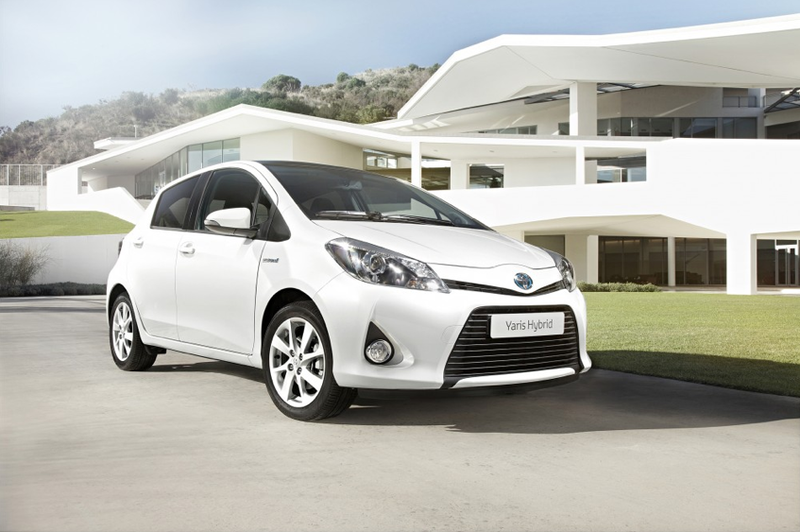 All the latest information about Yaris Hybrid is available at www.toyota.co.uk – click here to take a closer look. During May 2014 I took delivery of a new Yaris ICON+VVT. VIN Number VNKKJ3D3XOA200011. I have recently realised that it does not have working daytime running lights. In view of the fact that my previous two cars did have DRLs I have two questions. 1. could I have accidently disabled the DRLs on my car? 2. Was my model of the Yaris fitted with BRLs ? It is not possible to disable the DRL’s so it is likely they would not have been fitted. They were not a standard feature on the Yaris Icon grade but could be specified as part of a option pack at the time of ordering. Hope this helps clarify but please let us know if you have any other questions. I took delivery of my Yaris hybrid in April this year. Until recently I have had no reason to drive much in the dark. My perception of the headlights is that they are extremely dim to the point of almost being dangerous! On unlit regions of motorways I need to reduce speed to about 45mph for safe driving. On a rural road such as the A24, where unlit, maximum safe speed in my opinion is 35mph. My previous two cars were standard non-hybrid Yaris and I had no problems with the headlights. I took the car back to the dealer that sold me the car and their response was that the headlights were correctly aligned and they would not be drawn on the subject of brightness. I would like some clarification as to whether or not all yaris hybrid models (I’m looking at the t4) come equipped with smart start? Only the T Spirit Yaris hybrid comes equipped with Smart Start, it would be a key for the T3 and T4 grades. Hope this helps and if you need any more information let us know. I am shortly due to replace my mobility car.I have test driven the yaris t spirit hybrid and am really impressed.Can you tell me if it has Rmote central locking? I know it has smart start.If remote central locking is standard I WILL be ordering one ? All new Yaris have remote central locking. We would just like to double check this was your query as we often get questions regarding the differences between Remote Cental Locking and Smart Entry. The Yaris Hybrid has Remote Cental Locking (button on the key) and Smart Start (button on dashboard to start / stop engine), but does not have Smart Entry (sensor on the key which unlocks the car when you pull the handle, without needing to press a button). Had a look yesterday at the Yaris T-Spirit and want to buy one. My wife is disabled and the car is available on Motobility. She requires an armrest in the front passenger seat for support. Can we get one fitted? if not I won’t be getting a Yaris or any other Toyota. Would appreciate a quick reply as if the answer is no to the armrest I will go and order another Nissan Note – the 3rd one as it has an armrest. Toyota don’t supply or fit an armrest to the Yaris. Unfortunately we won’t be able to assist you this time, for which we apologise, as we understand the necessity of having an armrest in whatever car you choose. Alternative models may be available with an armrest, on Motobility, and we suggest you speak directly with your nearest Toyota Dealer who’ll happily help you. Please find their details here: http://ow.ly/kn2Q0. We have just taken delivery of a 9 month old Yaris T-Spirit HSD in Glacier Pearl White to replace my wife’s Prius T-Spirit. As I ALWAYS like to ensure my cars are kept in top condition and one of the very first things I do is to obtain a correct touch-up paint to make sure all of the stone chips that are inevitable and guaranteed with UK roads are fixed ASAP. Imagine my dismay when I am told by my parts department that the 084 Glacier Pearl is not available and to contact Toyota Customer Care. So I phone and am told that because of the way the paint is made and is a 3-part paint, it will not be made available as a touch-up and – get this – that for tiny minor paint chips, I SHOULD TAKE MY CAR TO A TOYOTA APPROVED BODY SHOP WHERE THEY WILL BE ABLE TO FIX MY STONE CHIPS. This is WHOLLY unacceptable – how much do Toyota think that will cost me? I really regret now buying one in this colour, but too late. I don’t particularly CARE whether the paint is 100% the same stuff as put on at the factory as I’m not going to be painting a big area – I just want a paint that is the SAME COLOUR so I can spot in the tiny stone chips. I am appalled at the lack of care or support by Toyota, and to just tell me to go away and see a body shop is just not acceptable. What are you playing at Toyota? And why do the dealers not know about this with this colour that you are PUSHING as a ‘special’ colour? We’re very sorry that you’re having trouble with sourcing this touch-up paint. We’re currently making some internal enquires to try and help and will reply back to you once we have an answer. We’ve just been in touch with the relevant department. They confirmed what you already know; The pearlescent coating isn’t available as a touch up paint and in order to provide a solution, you’d need to visit an accredited body shop who’ll be able to do the work for you. We apologise that there isn’t an easy fix to this however your concerns have been raised here for future reference. We really do appreciate your feedback and please do let us know if you’ve any further questions. I had daytime running lights fitted to my new Yaris and wanted to know if it is normal for them to switch off when the headlights are turned on? I have seen other vehicles with daytime running lights that remain on day or night. At night when I switch off my headlights the daytime running lights come on, no way of turning them off unless I turn on my headlights. Have my lights been fitted properly? They were fitted by the Toyota dealer that sold me the vehicle. It sounds like your DRLs are working just fine. They work while the vehicle is running and will automatically switch off when you turn the headlights on. They are a feature on all modern cars homologated after February 2011 which offer additional lighting for both yourself and drivers around you. We hope this explains that they have been fitted correctly and are working just fine. I booked a Toyota Yaris Hybrid T Spirit model and I will receive the car in 2 months time. The manual clearly says that there is an arm rest available to the driver’s seat but when I ask for that the dealer said in UK spec arm rest is not there. Its a real shame that it is not available in the top model. Also I have a request to add the Toyota Touch and Go as stndard in the top model T Spirit. Thanks for getting in touch. We are sorry to hear you are disappointed with some specification options here, we will be sure to feed this back to the relevant department for you. We are delighted to hear you have your Yaris Hybrid on the way and look forward to hearing about your first adventures! I’ve been driving my Yaris Hybrid T4 since 30/6/12 and have done 284 miles as of today. So far I really like my car and the rides on the whole have been quite pleasant. One thing I’d like to see is more information regarding the hybrid system, I’d like to see a ‘complete’ MPG graph of the entire duration of the journey driven, not just the last 15 minutes (that’s when I stop the car after the journey and look at various figures and so on, and there’s no way of looking back beyond the last 15 minutes) I also like to see an ‘Eco score’ when I’m driving (like the US Prius C) I hope there will be a software update in the future and can allow users to download all the MPG datas onto a USB stick, which can then be viewed on the computer. Please can you consider this? One last thing, is there any way of turning the daytime running lights off? The manual refers to vehicle setting but under my vehicle setting screen it is completely blank? You can see additional information about your MPG by using the past record function as detailed on page 74 of the ‘Touch Screen Owners Manual’. We have taken your comments into consideration regarding the downloadable MPG figures, onto a memory stick, and our Product Marketing team have been informed. Thank you for this suggestion! Daytime Running Lights can be customised however, as you are having issues with this may we recommend you visit an authorised Toyota Centre who’ll be able to help with this. We hope this helps to answer your questions. I received my T-Spirit Hybrid yesterday – and already I want to get rid of it. I am not prepared to go backwards and accept the entry system, when I have happily enjoyed Smart Entry for 6 years on my diesel Yaris T-Spirit. It makes that much difference, and a huge mistake by Toyota. We are sorry to read your post regarding your new Yaris Hybrid. May we suggest you speak with our Customer Relations team as they will be able to liase with your Centre and yourself to help find a resolution. You will find their details here: http://ow.ly/ctYai. We do hope this helps. I agree with Patrick Tucker, see my earlier post. My wife and I stood on the Toyota dealer’s forecourt looking disconsolately at my wife’s new Yaris Hybrid T-Spirit and compared with our trade-in Yaris Diesel T-Spirit with Smart Entry which was fantastic. The dealer was dismayed when I wanted to reject the car but my wife decided she would manage without Smart Entry so we took the car. Two weeks later we both agree absence of Smart Entry is driving us mad, for as a city car we are constantly using the doors! Since other markets offer Yaris Hybrid with Smart Entry this appears a stupid Toyota UK decision. Marketing seem to lack knowledge of the target demographic for this expensive small city car? 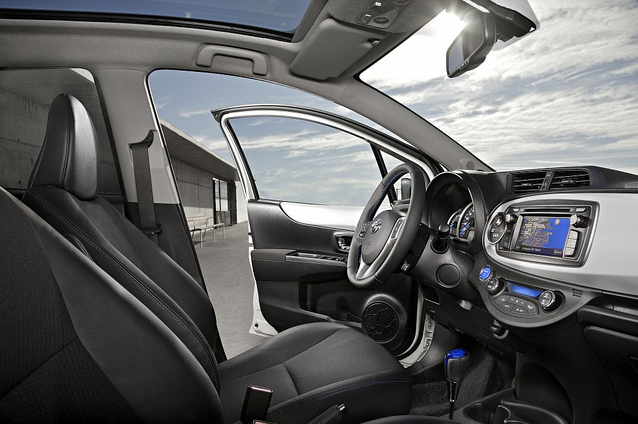 Smart Entry is standard on the manual petrol, yet not even an optional extra on the flagship Hybrid. The first huge mistake by Toyota UK. How do I get Smart Entry retrofitted? Prius has fuel consumption screen showing miles and MPG since last reset. We have 3 Prius in the family and all use this screen to monitor MPG and miles since tank fill, it also impresses visitors. By contrast Yaris Hybrid fuel consumption screen is bizarre and useless as no way to show MPG and miles travelled since fillup. Inexplicably is has an average MPH speed figure, surely the most useless parameter on a city car. In USA I have seen Yaris hybrid model which they call Prius City which has MPG and miles since last fillup as Prius, as does hybrid Aqua model in Japan. So the second huge mistake by Toyota UK. Last weekend we took friends to the Kew Millenium Seedbank, on return I selected Home on satnav as destination but it failed to locate any roads until three miles from home, so 15 miles were ‘blind’, yet the proven TomTom satnav used in previous Yaris worked normally. How do you ‘reboot’ the satnav other than by stopping and switching the car off? Yaris Touchscreen and SatNav have muddled screens which completely ignore the lessons of the iPhone generation. 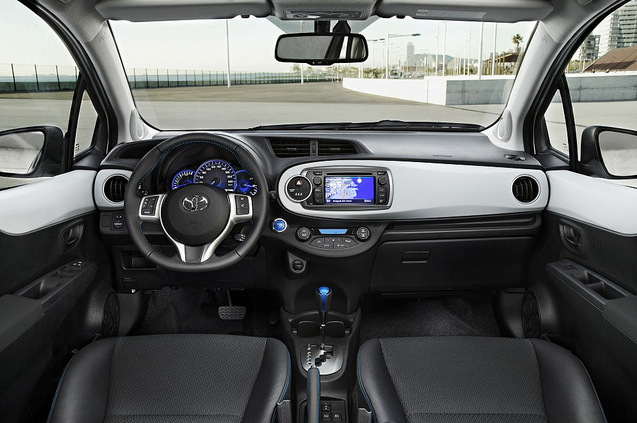 Intuitive design doesn’t need a manual, yet Yaris Touchscreen needs a 330 page manual. I have 20 years experience designing PC screens for control of engineering plant which have to be intuitive and unambiguous, Yaris Touchscreen seems an object lesson in inappropriate design, and the main user is driving. In the USA earlier this year the federal safety regulator raised concerns with car manufacturers about car screen complexity. So the third huge mistake by Toyota UK. We have now shown Yaris Hybrid to two friends who were possible purchasers, both were unimpressed saying they will stick with rival diesels offering similar economy at far lower price, the superbly smooth hybrid transmission simply ignored. I can assume Toyota UK will completely ignore my comments so I will likely have to write to Toyota’s chairman in Japan to express my disappointment at the poor choices by Toyota UK in the supply of what is potentially a smooth low emission premium city car without diesel particulates emissions, see recent WHO report. Firstly, thank you for taking the time to write your reply to us. We have just spoken with our Product Marketing team and gone through your comments. They will be raising this with our colleagues in Europe and we will look to get answers to your points. We do take all comments on the blog seriously and discuss concerns with those in the company who can help. When we receive feedback we’ll let you know. We are sorry to hear of your dissatisfaction and hope to come back to you shortly. To address some of the points raised in your post. We have tried to price the Toyota Yaris Hybrid competitively and standardising smart entry would have been reflective in the retail sale price. The smart entry system cannot be retrofitted. With regard to your satellite navigation system, we would recommend visiting your Local Centre, if there is a fault with the system, they will be best placed to advise. Regarding the screen and layout of the Touch & Go navigation system, we have taken your feedback into consideration so it can be part of the future development of our multimedia systems. We’ve communicated this to our European operations, including your feedback about the smart entry system. We are awaiting some additional answers and will be in touch in due course. My 2007 Diesel Yaris T-Sprit has Smart Entry & Start System. The 2012 catalogue shows 1.33L Yaris T-Sprit has Smart Entry & Start System. In April Toyota website said Yaris Hybrid T-Sprit would have Smart Entry & Start System. After carefully reading Toyota website I pre-ordered Yaris Hybrid T-Spirit with SatNav and Protection Plus Pack. My dealer phoned yesterday to say car has arrived. Yaris Hybrid brochure arrived by post yesterday and I read Smart Entry & Start System is not fitted, although several spec contradictions in the brochure is worrying, for example spec Page 47 says no vanity mirrors fitted! So when I visit the dealer this morning I will reject this car price £18,620. Why is the top of the range Hybrid Yaris inferior to conventional Yaris? Which idiot in Toyota UK thought removing Smart Entry a good idea? Smart Entry & Start System is available in US version, ive seen it on holiday! Can I factory order Smart Entry & Start System? Ford is running TV ads showing their Fiesta Smart Entry & Start System! Thank you for your comments, we very much appreciate your feedback. You are correct on both accounts. 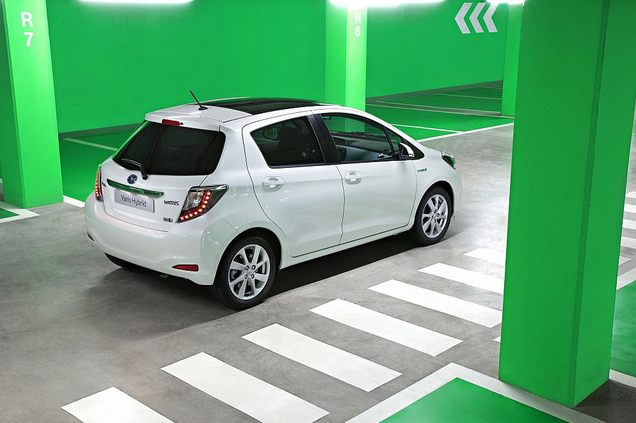 The new Yaris Hybrid has a Smart Start system and doesn’t have the Smart Entry & Start system. This means you will have to use the lock/unlock ‘key’ provided when you pick up the car to gain entry to the vehicle and lock it. Regarding the inconsistency in the brochure, we have passed this onto our Product Marketing team who will be making the relevant revision and also passing this information on to our Centres. To discuss the specific modifications/additions to your vehicle, may we recommend you speak directly with your Local Centre as they will be best placed to advise. Thank you for taking the time to comment and for helping with these details, may we apologise for the mistakes in the brochure and rest assured we will work to amend these. Again, many thanks for your comments. Kind regards. The glass roof is available as an option on the T Spirit Yaris Hybrid and costs £650. The car doesn’t have the smart entry system so you will need the key to get into the car and to lock it. It does, however, have the smart start system which is a push button start. The car does also have a lighter socket in the front which you can use to plug in your phone / sat nav etc. Hi, just wondering if the Yaris hybrid will have a false floor in the boot please? Also, does it have a spare wheel and what’s the size of the tank? Many thanks. The boot is the same size at the current Yaris model, no space has been sacrificed with the hybrid system, yes it has a spare wheel and it comes with a 36L fuel tank. Thank you for your reply, I’ve already preordered the T4 model, what I really want to know is, the European version seems to have a piece of board in the boot that makes a false floor which you can store things underneath, also when you fold the rear seats down it makes a completely flat surface and doesn’t have a leap… I’d like to know if the UK version comes with the piece of board, if not can I purchase it separately? Thanks. The Yaris Hybrid does have a boot floor that can be lifted but it has the spare wheel underneath so limited room for anything else. The board you’re referring to is available for the Yaris Hybrid as an optional extra. Contact your local Toyota Centre for more information.